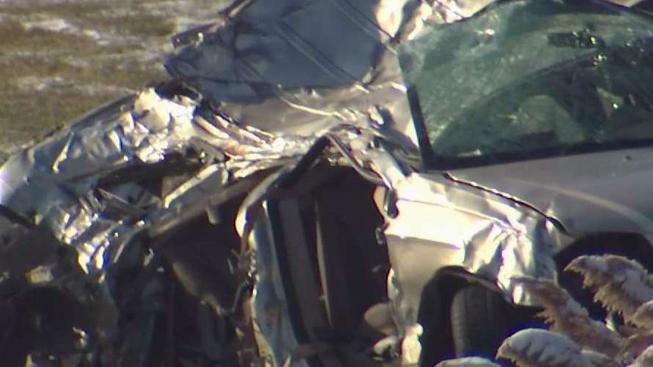 Five children between 5 and 15 years old died in a single-vehicle crash Saturday in Maryland, state police said. The children were riding in a 2005 Chrysler Pacifica traveling northbound on Route 301 in Prince George’s County when for unknown reasons it went off the road and struck several trees, Maryland State Police said in a statement. The fire department notified state police of the crash shortly before 5 a.m. The children, who were ejected in the crash, were identified by state police as Paris Dixon, 5, and London Dixon, 8, of Bowie, Maryland; and Rickelle Ricks, 6, Zion Beard, 14, and Damari Herald, 15, of Washington. The driver, Dominique R. Taylor, 32, of Bowie, and passenger Cornell D. Simon, 23, of Oxon Hill, Maryland, were injured but survived, state police said. Taylor is the mother of two of the children, state police said. Investigators believe the two adults were wearing seat belts, but the five children who were in the rear seats were not properly restrained, according to state police. The vehicle struck several trees and began to spin in a snow-covered field after it went off the left side of the road, state police said. The cause of the crash had not been determined, police said. Roads throughout the state were icy, NBC Washington reported.